Book your transfer with EasyGo Airport Shuttle on our Airport Shuttle Bus service today! At EasyGo Airport Shuttle our Airport Shuttle Bus service is available for transfers between Sydney Airport, and 398 locations across Australia. The Airport Shuttle Bus service aboard EasyGo Airport Shuttle is an affordable on-demand door-to-door shuttle service. Your vehicle will be shared with others and will make stops for passengers travelling nearby. Your pick-up and travel time is flexible and will be adjusted to suit all passengers travelling together while making sure everyone gets to their destination on time. Our Airport Shuttle Bus service is available 24 hours a day 7 days a week and can be booked up to 24 hours ahead of travel. 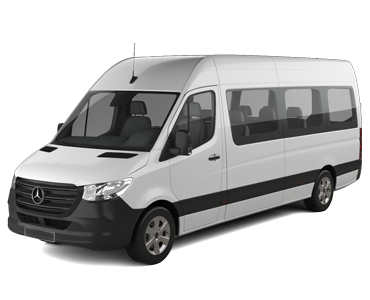 At EasyGo Airport Shuttle we offer fixed transfer fares starting from $40.00 AUD total one-way and with enough seat capacity for up to 12 passengers. Your final fare with us includes luggage allowance for 1 carry-on bag and 1 check-in bag per passenger. Also included in all our fares are airport parking fees, any tolls along the route and your drivers waiting time. EasyGo Airport Shuttle is a transport company based in Australia and we have been a professional transport supplier on Jayride since March 2017. More than 90% our passengers experience 'No Share, No additional stops & Direct express service' without any extra cost. EasyGo Airport Shuttle provides express transport service. EasyGo Airport Shuttle is the easiest and most cost-effective airport shuttle service. No worries even when traffic congestion. Our vehicles are authorized to use 'BUS LANE'. The Shuttle bus has plenty of room for luggage and will pick up customers from any destination, offering Door to Door service (point to point service). Meet and greet service will provide a much needed welcome when you arrive at your destination. EasyGo Airport Shuttle drivers will be awaiting your arrival, eager to help you with your bags once. Driver rang ahead and waa on time and helped with luggage and found out which terminal we needed to go to.